TREASURE HUNTERS SOCIETY of SANTA CLARA VALLEY INC. Please scroll down to and view "UPCOMING EVENTS". Our future meetings will be at the Knights of Columbus Hall, which is located in Campbell, CA. The address is 2211 Shamrock Dr., Campbell, CA. 95008. Our meetings will be on the 2nd Thursday at the Knights of Columbus building 7:00 PM. The address is 2211 Shamrock Dr., Campbell, CA. Hall parking is limited but available parking can be found on Bascom Ave. The new location is easy to find and should be easy to get to. We have signed a 1 year agreement with the new location. The price is extremely reasonable and fits our budget. Please Note! As of now our club Annual Dues have been increased from $35.00 to $40.00. Next General Meeting 7:00 PM May 9th, 2019. A new hunt challenge is now open. We have a new hunt to commemorate our new secretary and our continuance of being a club. This hunt will involve 4 parks. The first is WILCOX park in San Jose. Our President has buried 25 chuck e cheese tokens, all stamped 1-25 on the rim. 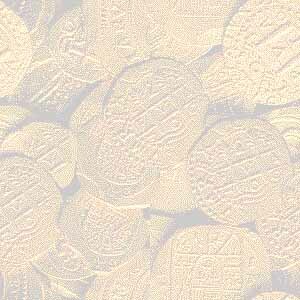 Each token is redeemable for a Merc dime at the meeting(s). When all those tokens have been found and accounted for then we will move on to park #2. For those interested, the 2nd park is LIVE OAK MANOR PARK. 220 Carlton Ave. The boundaries are anywhere behind sign to the kids playground. There are no planted tokens in the playground. You can search anywhere in the grass or dirt. All tokens are numbered Chuck E Cheese tokens. Bring back tokens to the next meeting for a SILVER quarter. 14 tokens total. All tokens are about 1 inch deep. Park 2 will have 14 tokens and those will be worth a Silver quarter. Park 3 will have 7 tokens worth a Silver Half and Park 4 will have 1 token good for Silver dollar! So get on over there ASAP. Treasure Hunters Society of Santa Clara Valley Evidence Recovery Teams go into action again. October 19th and 26th. 2002And once again Santa Clara Valley Treasure Hunters Evidence Recovery Teams go into action November 16th, 2002. Police Chief of Mountain View "Letter of Appreciation" for club participation in Evidence Recovery hunt on November 16th 2002. ALL ENTRIES MUST HAVE BEEN FOUND DURING THE PREVIOUS YEAR. Visit us on Facebook. THSSCV The club has a Facebook page now. Over the past few years, the rent for our meeting hall has tripled. The Club can no longer absorb this increase in operating costs without raising the fees for a Club membership. Club dues have not been raised for 20 years. Effective immediately, the membership in the TREASURE HUNTERS SOCIETY of SANTA CLARA VALLEY will be $40.00 per year. Family, single and junior memberships will all be $40.00. New members will be assessed a one time processing fee of $5.00. This membership is open to all families. Club hunts entry fees have been increased from the previous $10.00 per single entrant to $20.00. 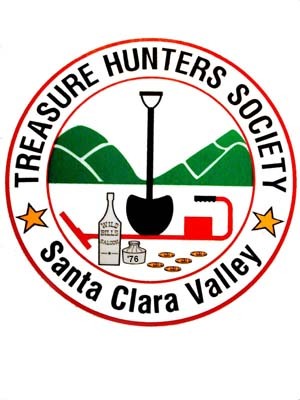 The Treasure Hunters Society of Santa Clara Valley was founded in April of the Bicentennial year of 1976 by the combined effort of two dedicated and knowledgeable treasure hunters, Dave Hayslip of Los Gatos, California and Grover Ingram of San Jose, California. The club was founded in and is still based in the "Valley of Hearts Delight" in Santa Clara County, California. The club we enjoy today started out as just a few friends with common interest in metal detecting and treasure hunting who wanted to share with others their interest and knowledge of the hobby. Over the years those initial informed gatherings grew to a size where a meeting hall was needed. Committees had been formed, new positions were now needed to meet the needs of a growing club. Political Advisors, Outside Hunts, Sunshine Committee, Refreshments and Web Master, are some of the ones added to meet these needs. 1. Any form of harassment, i.e. verbal, physical, written or sexual, will not be tolerated at any Club activity or event. 2. Personal disputes are inappropriate at Club activities or events. 3. Physical fighting shall be grounds for permanent expulsion to the party or parties guilty of instigating said physical activity. 4. Use of alcohol or drugs at Club activities or events or attending a Club activity or event in an intoxicated state will not be permitted. 5. Use of inappropriate, abusive or vulgar language at a Club activity or event will not be tolerated. 6. Any person found guilty of cheating in a Club hunt, raffle or contest shall be subject to disciplinary action. 7. Members are expected to follow the "Treasure Hunters Code of Ethics". 1. Respect the rights and property of others. 2. Observe all laws, whether national, state or local. 3. Never destroy priceless historical or archaeological findings. 4. Don't destroy, damage, or deface public property or what is left of anything old that does not belong to you personally. 5. Leave land and vegetation as it was. 6. Remove all trash and litter when you leave. 7. All treasure hunters may be judged by the example you set. Be extremely careful with your probing. Pick up discarded trash, and ALWAYS FILL YOUR HOLES! 8. Always conduct yourself in a manner that is courteous and polite with consideration for others. Federation of Metal Detector & Archaeological Clubs, Inc.
Archaeological Headquarters Throughout the U. S.
This many folks have visited this page Thanks for visiting the site.